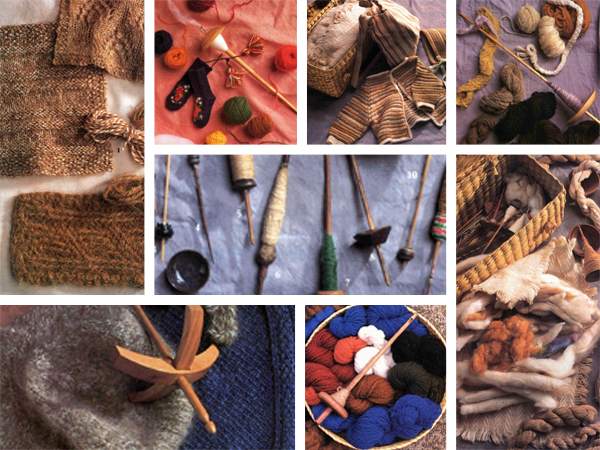 Spin-Off Spring 1995 digital magazine features hand spindles, from the basics on spinning with drop spindles, to techniques from around the world. Plus, gain inspiration to create your own teddy bear. This issue of Spin-Off is all about hand spindles! Find articles on drop spindle basics, spinning cotton on a high-world spindle, creating and using wrist distaffs, spinning with a supported spindle, and more. There are also features on spindles and spinning from around the world, such as Akha spinning, Peruvian spinning, Turkish spindles, and Navajo spindles. This issue also has sweet little bears to entice the child in all of us. Gain inspiration to create your own teddy bears and clothing. Plus, there is an article on working with camel fiber. Other projects in this issue include miniature Bulgarian socks, a sample bear, and a bear's jacket, britches, and hat. Be inspired by spinners from all over the world. In each issue, you'll meet spinners with unique stories to tell.